Christmas is a time for joy and laughter, bringing families and friends together. So make this Christmas one to remember. 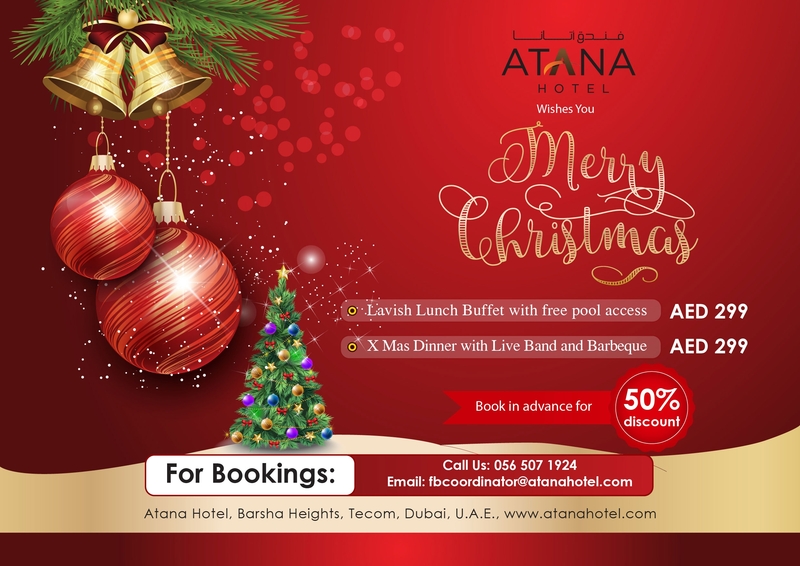 Head to The Garden Restaurant at the Atana Hotel in Barsha Heights, Tecom for a refreshing dining experience where an incredible selection of international dishes and festive favourites can be relished. 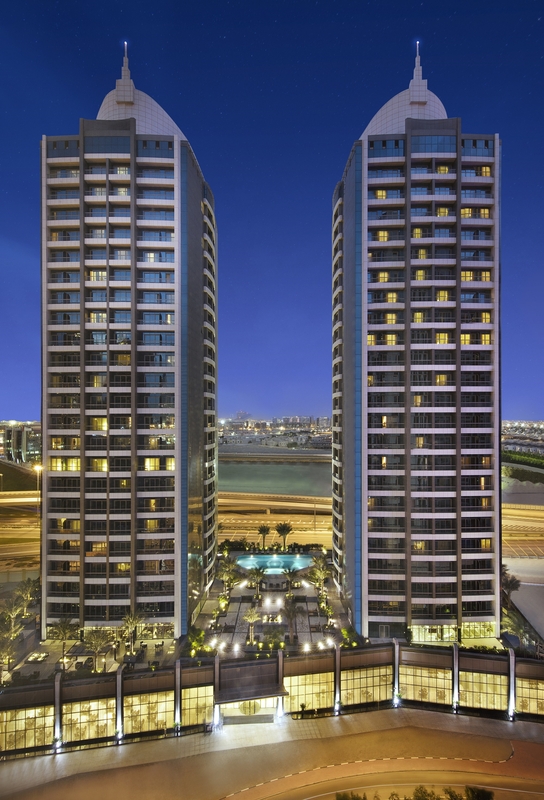 The ambience is relaxed with open terraces. The Festive Season is just around the corner - Explore a range of our favorite festive gourmet buffet at The Garden Restaurant for lunch or dinner and celebrate in style with your entire family. You can choose from delicious stollen, tempting cakes, tender turkey with all the trimmings and sides, gingerbread cookies and much more. 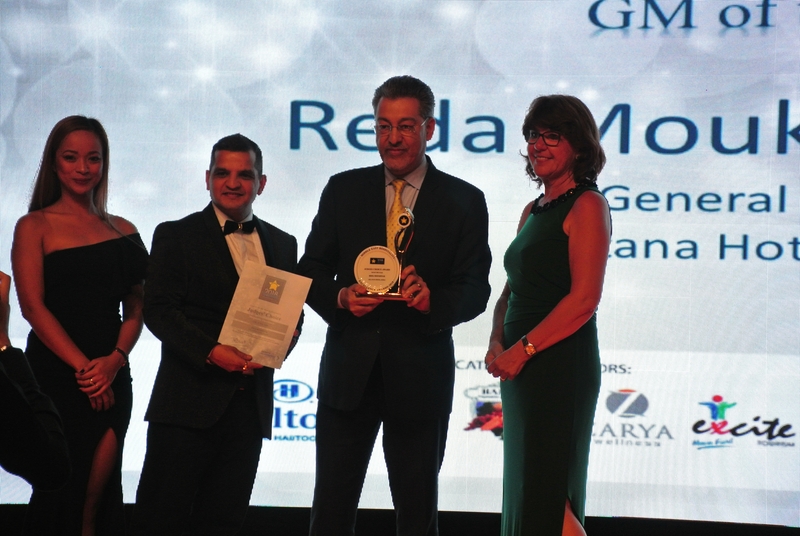 It gives me great pleasure to announce that I was named by Judge Choice as “General Manager of the Year” at the recently held Middle East Hospitality Excellence Awards 2018 held at the Hilton Dubai Al Habtoor City on 28th November 2018. Having a strong and skilled Management team gives great optimism and confidence for the future. I would like to thank Atana Hotel owners, entire Management Team and colleagues for their outstanding support, and exceptional interaction for being awarded as “The General Manager of the Year”, for the second time during my tenure in Atana Hotel. This win is a great motivation not just to myself, but to my entire team, who have rallied behind me to effect a dramatic turn-around in the operational and commercial success of Atana Hotel in a relatively short period of time. 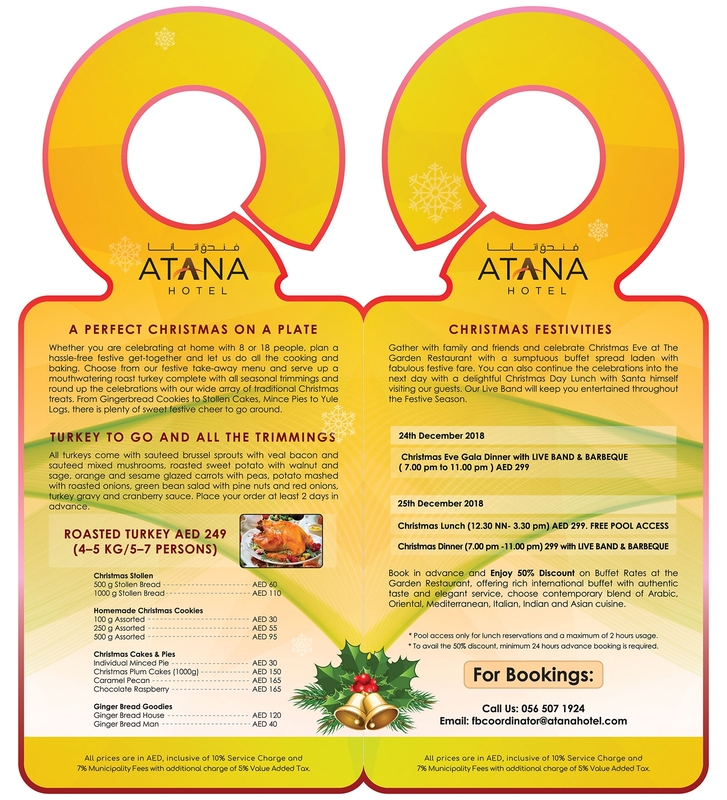 This win is definitely for the entire team and colleagues of Atana Hotel. Once again thank you to all my partners, team and colleagues, without whose support this award was not possible.